2017 Trump administration proposed rule to replace the Obama administration's Clean Power Plan. Click here to read the EPA fact sheet on the Affordable Clean Energy Rule. Click here to read the EPA summary of repealing the Clean Power Plan. The gas that makes up most of emitted greenhouse gases. Click here to read our discussion of the Clean Air Act. A 2015 policy issued by the Environmental Protection Agency (EPA) to reduce pollution from power plants. For more about the Clean Power Plan, read this New York Times article. Click here to read the EPA overview. Click here to read the original Obama administration EPA overview. A comprehensive plan proposed by the Barack Obama administration in 2013 to address Climate Change. Click here for a fact sheet on the plan (with a link to the full plan). One of the primary effects of Global Warming. Federally mandated fuel economy standards for cars and light trucks sold in the United States. They were enacted in 1975 by the Energy Policy and Conservation Act. Manufacturers are measured against the standard by the average fuel mileage of all the vehicles they sold in a year. Therefore, a manufacturer's score is affected both by the efficiency of their vehicles and by the distribution of smaller cars to larger ones. If a manufacturer does not meet the CAFE standards in a year, it is fined approximately $50 for every mile-per-gallon below the requirement - for every car it sold. The fine can be avoided by using credits earned by exceeding the standards in previous years. You can learn more about the Cross-State Air Pollution Rule at www.epa.gov/csapr. A 2016 rule issued by the Department of the Interior (DOI) requiring oil and gas producers to use currently available technologies and processes to cut flaring in half at oil wells on public and tribal lands. This source of pollution is the second-largest industrial contributor to climate change in the United States, according to the Natural Resources Defense Council (NRDC). The full name of the rule is "Waste Prevention, Production Subject to Royalties, and Resource Conservation". Click here to read the DOI announcement. Click here to read the DOI fact sheet on the rule. Click here to read an explanation of the rule by the NRDC. A 2016 rule issued by the Department of the Interior (DOI) requiring coal mining companies to avoid practices that permanently pollute streams, destroy drinking water sources, increase flood risk, and threaten forests. Companies also would be required to monitor streams that could be affected by their mining operations. In February 2017, Congress voted to prevent this regulation from taking effect. Click here to read the Interior Department announcement. Click here to read the Congressional Research Service analysis on the effects of the rule on the environment and on jobs . A list of animal, bird, and plant species whose existence is considered at risk. o Endangered: In danger of becoming extinct. The list is maintained by the U.S. Fish and Wildlife Service (FWS) and the National Oceanic and Atmospheric Administration (NOAA), as specified in the 1973 Endangered Species Act. This will be less of a definition than an explanation of how we discuss terms such as global warming and climate change. First of all, those two terms often are used interchangeably. We differentiate them - referring to global warming as the rise in the earth's temperature and climate change as one of the consequences of global warming. o The earth's temperature is rising. o The cause is mostly due to human activity since the industrial revolution. o The effects are tangible and will continue to become worse. o Serious action is required to stop this trend before it becomes irreversible. Any discussions we have involving the topic will assume the above points. To learn more about global warming and climate change, visit Climate.NASA.gov. For a more in-depth analysis, see the 2013 Intergovernmental Panel on Climate Change report..
A 2008 agreement among the eight states bordering the Great Lakes that controls how water from the lakes can be used - with the goal being to preserve the lakes. Gasses emitted into the earth's atmosphere that trap heat - increasing Global Warming. 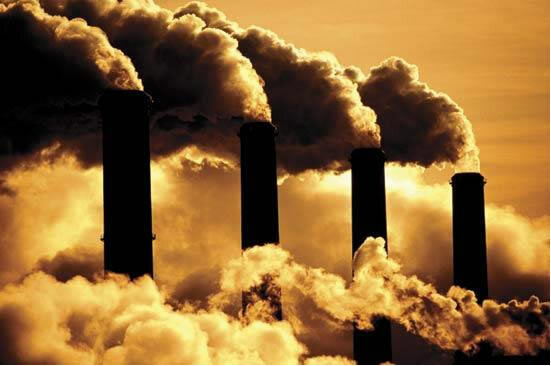 Greenhouse gases include carbon dioxide, methane, nitrous oxide, ozone, and water vapor. Air pollution that obscures outdoor views. Read more about haze at the Environmental Protection Agency website. You can learn more about the Mercury and Air Toxics Standards Rule at www.epa.gov/mats. A tiny plastic particle (typically smaller than a millimeter) used in cosmetic products such as liquid soap and toothpaste - generally added for exfoliation. Because most of their use is for personal cleansing, they end up in bodies of water. They were banned in the United States starting in 2017. For more about microbeads , read this Canadian government report. For more about microbeads in cosmetics , read this United Nations report. Tiny (smaller than 5 millimeter) bits of plastic that are the byproducts of other products containing plastic. o Microscopic fibers from your clothes that either are washed off in the laundry or break off into the air. o Tire dust that gets washed into sewers. o Paints, such as dust from road markings. o Larger pieces of plastic such as forks, straws, bags, takeout containers, and beverage bottles in waters that break apart into smaller and smaller pieces. o Microbeads from personal cleansing products. To read about some of the harm that can come from microplastics, read this National Geographic story. It went into effect on November 4, 2016. PFASs are a set of related chemicals used in many industrial products such as cleaners, waterproof clothes, furniture, take-out containers, insulation, and non-stick surfaces. They also are used in fire-fighting foams - particularly by the military. They don't degrade in biological systems - including in humans. Drinking water contaminated with PFASs has been linked to serious health problems. A study conducted between 2013 and 2015 found water supplies that serve 6 million people in the United States contained amounts of PFASs greater than the safety limits set by the Environmental Protection Agency (EPA). Most in-home water filters are not able to filter PFASs from tap water..
PFAS is an acronym for Per-and polyFluoroAlkyl Substances. Click here to read a 2016 EPA fact sheet. For more, read the PBS report. For more, read the Environmental Working Group report. A series of regulations issued to lessen haze in national parks and wilderness areas. You can learn more about the Regional Haze Program at www.epa.gov/visibility. Click here to view the progression of these regulations over the years. A form of air pollution resembling a smoky fog. It is a combinations of the words smoke and fog. 1965 law enacted to help deal with new types and increased amount of discarded materials from consumer packaging, industry, construction, and agriculture. Click here for more about the law. 2010 Executive Order issued by Pres. Barack Obama establishing a national policy to ensure the health of ocean, coastal, and Great Lakes ecosystems and resources. Click here to read Executive Order 13547. Federal program to clean up sites that have been contaminated with hazardous substances. Originally, most of the money for the fund came from a tax on the industries that were at risk for creating the contamination. However, most of the funding since 2001 comes from public money. It was created by the 1980 Comprehensive Environmental Response, Compensation, and Liability Act. Click here for more about the Superfund. The difference from a baseline of previous values - for example comparing one year's temperature to an average of the previous 30 years. In climate change studies, anomalies convey more meaningful information than absolute values, because absolute values can depend on factors such as location and altitude. Adding a new weather station, for example, would affect the overall average temperature differently depending on whether that station was atop an Alaskan mountain or in the middle of a Hawaiian rainforest. Anomalies tend to be more consistent among locations. For more, read the National Oceanic and Atmospheric Administration explanation. 1992 international treaty for working toward limiting greenhouse gas levels in the atmosphere. The framework does not set limits and there are no enforcement provisions. Instead, it works as a guideline for for future environmental treaties (often referred to as agreements or protocols). o Deal with climate change effects caused by countries that emit the most greenhouse gases. Federal program that coordinates research on Climate Change across several federal agencies and scientific organizations. The program releases publications that assess the impacts of climate change.